Unlike most DJ companies, this story begins at an extracurricular activity fair at the University of Connecticut. The enthusiasm and tenacity of Dan Warren – Promotions Director at the time – drew a 17-year-old Torgo to the WHUS Radio booth in the Student Union, and he became hooked almost immediately. Having dabbled in the business due to his father’s separate DJ company, he decided to try out radio. Several years of broadcasting led to a position at Sirius Satellite Radio (pre-merger with XM) and a well-regarded radio show. After graduation and the lovely jobs/economic situation of 2009-2011, Torgo began work with a local DJ service in Corning where he remained for four years, building up an immaculate reputation and invaluable experience. 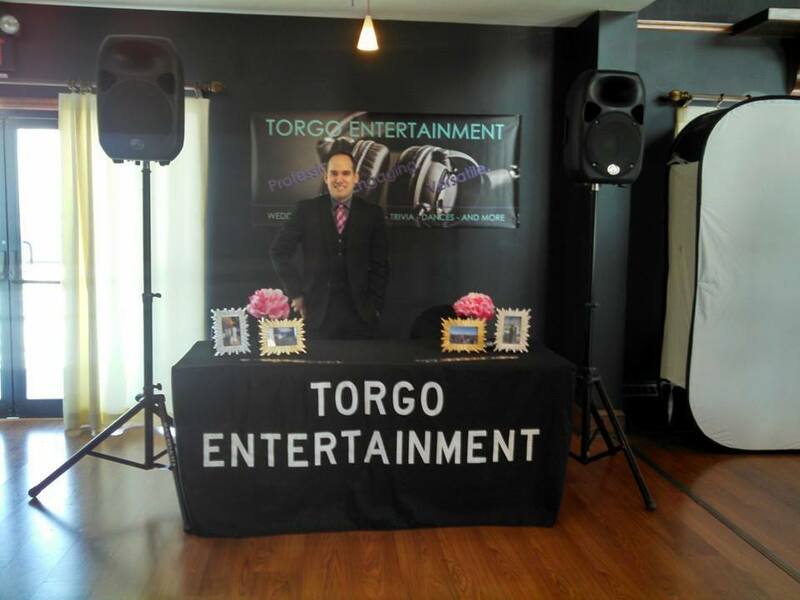 Finally deciding to take matters into his own hands, Torgo Entertainment debuted as a company in January 2015, and things seem to head upward from here.